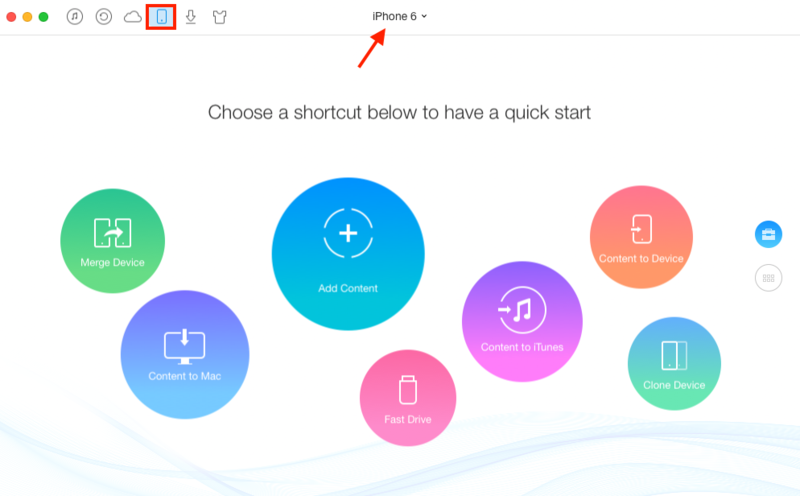 How to Backup iPhone Contacts to iCloud - iMobie Inc.
Want to backup contacts to iCloud from your iPhone? Besides syncing all contacts to iCloud from iPhone, looking for other ways of saving iPhone contacts to iCloud selectively? Read this article to get answer. AnyTrans is an all-in-one iOS data management tool, which can help you backup your iPhone data to computer/iCloud in an easy way. Download it to have a try. Saving iPhone contacts to iCloud is essential for Apple users to make a backup for this crucial data. When it relates to back up contacts to iCloud from iPhone, what we think of first is syncing all contacts from iPhone to iCloud with Wi-Fi connection. 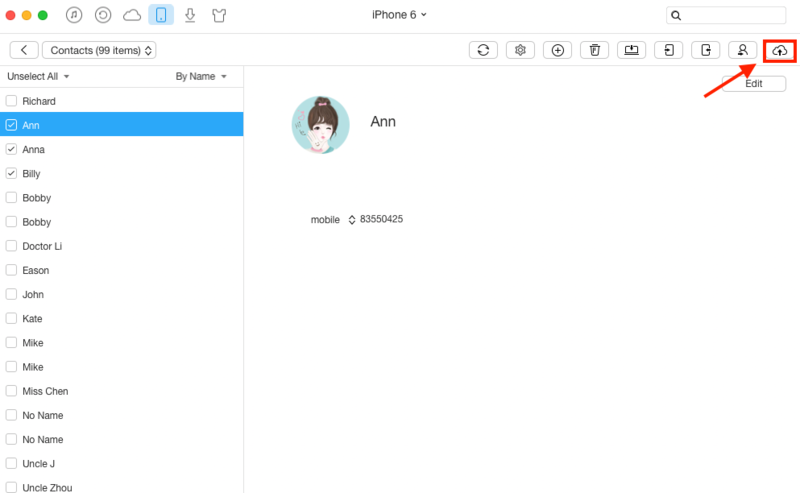 Actually, besides the traditional method, there are multiple ways can help you backup iPhone contacts to iCloud, such as a tool named AnyTrans that we recommend to you. This tool not only enables you to transfer all iPhone contacts to iCloud for a backup, but also allows you to select specific contact to backup to iCloud. Moreover, this function is free for you. 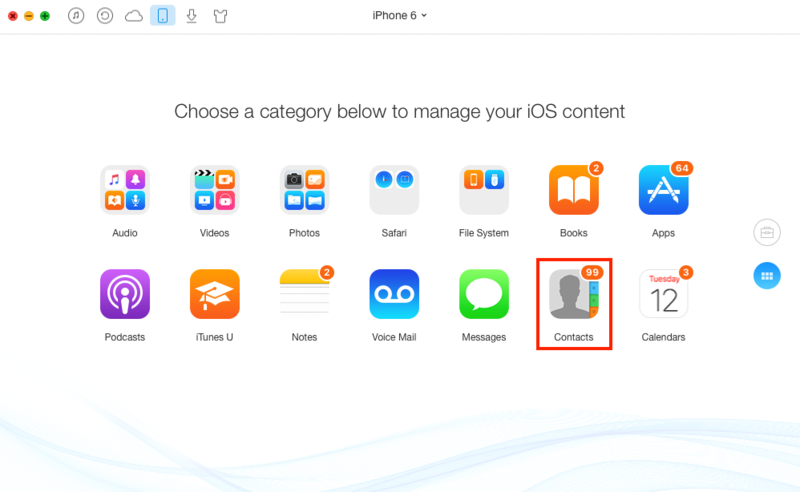 Before talking about how to backup iPhone contacts to iCloud selectively, let’s have a brief understanding about the tool we need. 1. Offers you an alternative way to backup kinds iOS data from iDevice to iCloud in an easy and smart way, for instance, contacts, notes, photos, calendars and so on. 2. Lets you to manage your content in iCloud, you can add, edit and delete data on iCloud, in addition, you can export content from iCloud to computer for checking. 3. Allows you to transfer data from iCloud to computer, from iDevice/computer to iCloud, and even from iCloud to iCloud directly. Now, install AnyTrans on your computer, and then follow steps below to backup contacts to iCloud with ease. Step 1. Launch AnyTrans > Connect your iPhone to computer. Step 2. Click the button > Click Contacts. Step 3. Select contacts you need > Click to iCloud button to start backing up contacts from your iPhone to iCloud directly. Recently, AnyTrans adds the new function of downloading online videos from any websites. It supports downloading many types of formats like MOV, MKV, MP4, AVI, M4V, RMVB, WMV, FLV, RM, etc.